Tips on making Passover prep easier, and an explanation of an incredible opportunity to change our lives in a minute a day or less during the 72 days of lovingkindness–starting this week. Thank you for this inspiring talk. 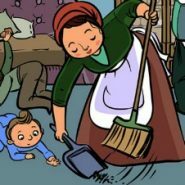 I hope your cleaning goes well and you have a chag kasher v’sameach!